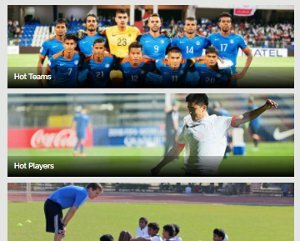 The Indian Colts manager was looking ahead to his team's final AFC Asian Cup Qualifier against Turkmenistan. 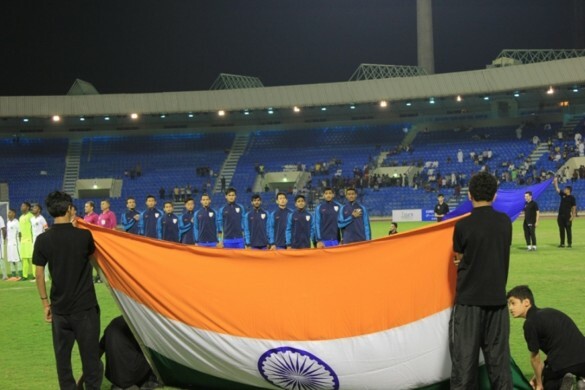 Indian U-19 will look to end their AFC U-19 Championship Qualifiers with a win as the young colts face bottom placed Turkmenistan in their last match of Group D at the Prince Mohammad bin Fahad Stadium here, tomorrow (November 08, 2017). The kick-off for which is at IST 6:30PM. Q. How do you reflect on India’s performance against Yemen? A- It was a good performance against Yemen and it could have been perfect if we had got the win. We have to take our chances in the final third and score goals. We had three to four clear goal scoring opportunities against Yemen and if we could have taken them we would have been deserved winners. We need to buckle up and be clinical infront of goal. Q. What was the strategy against Yemen? A- We wanted to dominate Yemen in the midfield and we were able to achieve that. The players gave a good fight to the Yemen midfield and were also able to create goal scoring opportunities for our forwards. In defence, we stayed strong and played as a single unit which helped us to keep Yemen at bay. Q. Turkmenistan lost 0-1 against Saudi Arabia. What are you expecting from Turkmenistan tomorrow? A- Turkmenistan are an aggressive team going forward and they have lost both their matches so far. They will be playing for a win for their pride and we will be doing the same. We will be playing for a win and looking to end the qualifiers on a positive note. However, we still need to stay focused and concentrate on the pitch as Turkmenistan proved (with their 0-1 loss against Saudi Arabia) that they are not an easy team to play against. They will give us a very hard fight till the end. Q. How will you sum up India’s campaign so far? 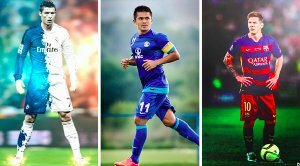 A- We are building a team for the future and if you look, against Yemen, 9 U-17 players played and dominated at certain spells of the game. Imagine the potential that this team will have in the next two years. There is a long way to go, however we need to believe that the results will not be visible immediately but will take some time to show. We need to believe in the process of developing players.